A recent infographic asks, “Who is the Hotel Guest of 2020,” and how will evolving technological advances most likely shape their expectations. While 2020 once seemed far away, in reality it’s only a few short months away. Reminiscing back to the 1980’s, when anyone predicted what life would be like now, it always seems so futuristic, from flying cards, to hoverboards, automatic jacket driers and everything in between. However, while we might not live in the future Robert Zemeckis created, the expectations of hotel guests today are notably different. Concepts which would have seemed alien, even only a mere ten years ago, are now considered as standard, with technological evolution adding an unprecedented level of expectation to a guest’s stay. 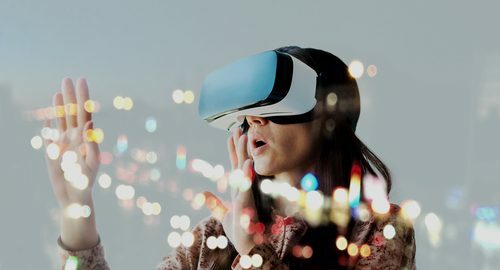 With 2020 just around the corner, we take a look at some of the technology trends hotels should be adopting in order to deliver a superior experience that guests have come to expect today. Self-sufficiency – the importance of convenience: Today’s tech-savvy, mobile-first travelers want the freedom to choose how and when they interact with your hotel, they want the ability to help themselves, to be self-sufficient. They expect their travel experiences to be free from the stress and inconveniences, and have a desire for self-service capabilities when it comes to their hotel stay – everything from checking in to checking out, gaining access to their room, booking reservations, keeping track of their expenses, ordering room service, contacting housekeeping, etc. As a result, many hotels now employ various guest facing self service capabilities such as remote and onsite check-in and check-out, keyless entry, biometric fingerprint ID, mobile billing and making reservations, along with a host of other services. Offering guests self-service options satisfies an expanded definition of customer service now grounded by the conveniences of the instant gratification economy. Smart hotels – Creating a home away from home: Guests expect all the modern “smart” features they enjoy at home to also be available in guest rooms when they travel. Unsurprisingly, one of the most important comforts is the ability to access personal entertainment and music streaming services like Netflix, Hulu, Pandora – via great (free) WiFi and power. And thanks to the advances in smart technology, streaming to the in-room TV, adjusting the temperature, drawing the curtains, dimming the lights, ordering room service, even booking a massage or set a wakeup call, is something guests can control with the help of their mobile device – and is already a reality at many luxury hotels. In-room controls are now the expected norm. Providing guests with the freedom of control over their environment has the power to elevate the guest room service and create a better guest experience. Personalization defines the guest experience: It would be an understatement to say that personal interactions are important – they define the guest experience. Consumers today are not just more connected, but hyperconnected. Along with this hyper-connectivity, they shun the cookie-cutter approach and, instead, seek out those who can deliver unique authentic experiences. According to Frost & Sullivan, by 2020 customer experience will overtake price and product as the key brand differentiator. This means that customers will, if not already, choose companies that offer them hyper-personalized and differentiated experiences. The key to success is creating personalized experiences and delivering them in an authentic manner. And with the right hotel technology tools, hoteliers today can now do just that! If you get it right, not only will you provide a more personalized service elevating the overall customer service experience but studies show that a moderate improvement in customer experience (CX) would impact the revenue of a typical $1 billion company an average of $775 million over three years. The guest of tomorrow is already here. Those hoteliers that understand consumer trends and best cater to the changing needs of the emerging and enlightened generations of guests will be best positioned to attract and retain guests in 2020 and into the future. Hands up who remembers the last time they didn’t use their smartphone for a whole day? – Probably very few! It is sometimes hard to believe that little over 10 years ago there weren’t any smartphones but since then a lot of things have changed. Today, we are living in an era of advanced technology, in a world where we are constantly connected and where more people now own cell phones than toothbrushes. The number of mobile users across the globe is estimated at over 3.7 billion –and growing. And this is especially so in the United States. According to Pew Research, virtually all Americans — over 95% — currently own a cell phone. The percentage of those owning smartphones is a whopping 77%. Smartphones have become an essential part of daily life, it is our personal assistant that helps us master our everyday from checking emails, managing calendars, listening to music, watching videos, taking photos, reading the news, banking, billing, shopping, entertainment, communicating and also, every now and then we use them for their original purpose, to make phone calls. Smart mobile devices coupled with IoT have and continue to change and shape how we do business, connect with other people and complete everyday tasks – for instance, will someone born in 2017 ever print out a map to determine the best driving route from New York City to a small town in Massachusetts? Will they ever buy a Newspaper? Hail a cab from the side of the road? Pay with cash? Very unlikely. This new era if technology has enabled new levels of convenience at home, in the office, and nearly everywhere else. As a consequence, businesses have had to adapt to new technology and changing consumer behaviour in order to remain competitive. The hotel industry is no exception with technology having a significant influence on the hotel guest experience. Today’s tech-savvy, mobile-first travelers want the freedom to choose how and when they interact with your hotel, they want the ability to help themselves, to be self-sufficient. They are also demanding a more personalized service that keeps up with their on-the-go lifestyle. They have clear expectations of the experience they’re looking for and expect a more customized approach preferring to be communicated with in a way that appeals singularly to them. The technology that they encounter — whether hands-on or through a front-desk agent or concierge — now influences their overall guest experience. Back of house, technology is also changing and is being shaped and designed to meet customer expectations and deliver a superior guest experience. New mobile enabled cloud-based PMS solutions are helping to automating mundane and tedious actions, reducing errors and improving operational efficiency. They can unify data in a single platform, unlocking guest intelligence and allowing hoteliers to identify and nurture their guests at every point in the travel journey. Newer technology solutions enable staff to break free from the confines of their desk and become mobile performing many hotel operations on the go and provide services anywhere the guests are. They empower staff to spend more time with customers, truly deliver an exceptional and personal service resulting not only in more satisfied customers but more loyal customers and repeat visits. There is no doubt that technology is shaping the hotel guest experience. Guests today expect personalized services and want choice and convenience in order to maintain control over their stay experience. With the right technology in place such as automating certain task and providing self-service convenience to your guests, employees can focus on more specific guest requests and can proactively assist guests to create a more memorable experience – and happier, more loyal customers. The Internet of Things, or IoT for short is said to be the “Third Wave of Innovation” following the Industrial Revolution and the Internet Revolution. And it’s not hard to see why. The number of smart devices continues to increase, and according to a Statista report, 42.62 billion IoT-enabled devices will be connected to the Internet by 2022 – that is 42.62 billion everyday enabled devices working together to ease our efforts by interacting with each other online. But, IoT is not just about connecting things or services but it is about changing the way things and services deliver value. In the process, products are becoming services, and services are becoming more intelligent. Unquestionably many industries can benefit from IoT technology and that is why more and more businesses are beginning to embrace smart technology applications, especially in the hospitality industry. While IoT certainly hasn’t reached its full potential, by taking advantage of IoT solutions currently on the market, hotels can realize increased operational efficiency and provide a more personalized guest experience and customized stay. Here are just five such ways that IoT can enhance your guest experience. Seamless Check-In: IoT eliminates the need for elaborate check-in and opens up new possibilities in terms of making the whole process seamless. With IoT hotels can automatically send a digital or electronic key to a guest’s mobile phone an hour before the check-in time. This can then communicate with the door, unlocking it, and removing the need for a separate key. On initial use of the key card, the guest is automatically checked in without them ever having to stop at the front desk! 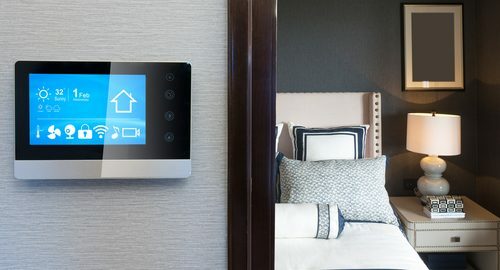 In-Room Automation: IoT has the potential to elevate the guest room experience autonomously – such as, LED lighting that can detect natural light in the room and adjusts the brightness accordingly, sensors that track activity in the room and switch off features as appropriate and similarly, detect when the guest has returned and automatically resume all room functions to their former setting! Voice Controlled Customer Service: Hotel companies like Best Western, Marriott and Wynn have been among the early adopters of voice-controlled customer service and this is an area that is likely to expand substantially as products like Google Home and Amazon Echo become more widely adopted within the home environment. Providing voice enabled devices allow guests to easily set up their own wake up calls and reminders, order room service, book a morning fitness class, contact the concierge, modify room functions, and do much more without budging an inch from their hotel room! Mobile Engagement: While IoT can elevate the guest experience autonomously, IoT can also deliver a greater degree of personalization by providing guests with the ability of managing their entire experience via a centralized device such as, their own phone. Guests that can immediately sync and exchange data with every electronic device from their phone is the new height of convenience and efficiency. IoT can allow guests to register preferences such as temperature settings for showers and instruct the virtual assistant to turn on the water, choose a specific light level, music and even TV streaming preferences and have the devices maintain those settings automatically. Hyper – Personalization: Leveraging data collected from in-room and building IoT devices can be used to anticipate guest needs and provide a personalized experience. For example, an IoT platform could over time provide you with insights into a guest’s specific preferences such as temperature, lighting, shading etc. Every time the guest enters their room, they receive an automated personalized greeting while the room automatically switches to the last saved preference like opening the curtains, controlling the climate, playing music, streaming TV services and so on. Moreover, by combining smartphone capabilities with beacon technology or other sensors, IoT can be used to deliver more valuable and customized information to more guests than ever before. Messages can be sent to guests at the point they are most relevant, based on where they are, such as events, on-site amenity offers, alerting them if their favorite table is free or possible wait times for dining, capacity information related to using specific facilities at different times of the day such as the spa, or pool. IoT in hospitality has many exciting applications and these are only five such IoT solutions that can be used to enhance the guest experience. Presently, IoT in hospitality stands to elevate the hotel guest experience. When done right, hotels that figure out how to incorporate IoT into their establishments will achieve the next echelon of customer experience. Technology continues to become more and more important in the hotel industry. For consumers, technology means an easy life and their appetite for this lifestyle is insatiable. 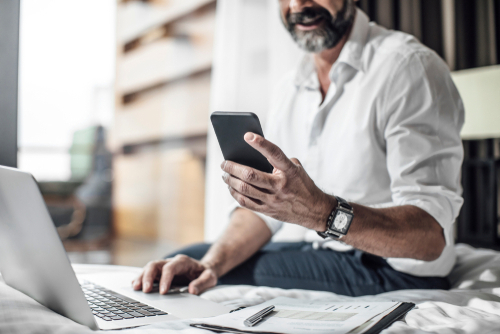 For hotels, technology can help meet the challenge of growing customer expectations and enable them to drive their business objectives better. However, technology is advancing all the time and is constantly unlocking new opportunities aimed at improving customer satisfaction and boosting internal efficiency. It’s a challenge for the hoteliers to keep up with each new development and innovation. Defining your business objectives: A good place to start is to clearly define your business objectives with regards to new technology or change of systems. So, whether it is a specific revenue goal, increase in market share, improving loyalty figures, having a clear image of what you want to achieve will allow you to put every action and decision with regards to your technology into perspective to focus only on achieving your final objective. Is data connected across all sources or does my technology operate in silos? Are my solutions scalable? Can I show how each solution contributes to my bottom line? Are my solutions efficient, can I automate tasks? Is this a software that can be quickly changed if it doesn’t work? 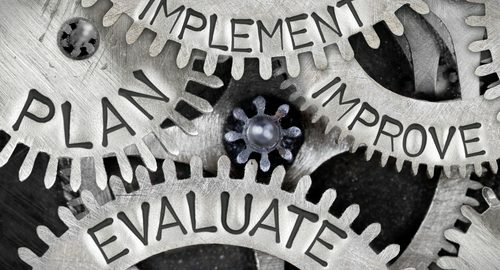 Assessing your technology will allow you to continue to optimize your software so that it better serves your customers, your staff, and your budget. Leverage technology to generate more revenue: Technology advances can undoubtedly improve many business processes within the hotel industry. However, technology is in a constant state of flux and constantly unlocking new opportunities to improve customer satisfaction and boost internal efficiency, leaving hoteliers uncertain as to which technology solutions to choose and leverage to remain one-up on competition. But it’s important to remember that systems and technology alone do not solve issues, they provide a framework to support vital business processes and to take care of guests – It isn’t about chasing the latest shiny object in technology. Having the right framework in place provides the opportunity to leverage technology holistically…which leads us nicely to our next point. Build an open technology stack: Running a hotel is tough enough without having to deal with closed technologies that don’t work together and don’t let you build on top of one another. Your technology stack should be flexible so that it can adapted to your business needs and not vice versa. Here’s where having an open stack can make all the difference. Instead of a huge technology stack composed of complicated yet compromised features (and only using 20% of them), hotels now have the option of selecting the perfect combination of software features to match their specific needs. And because these new pieces are specifically built to be easily integrated through APIs, building the perfect software stack happens in far less time than before – and also costs far less. Stack solutions that are open and easily accessible are valuable; they last longer and grow with you as your business and industry grows. Evaluating your technology allows you optimize your software so that it better serves your customers, your staff, and your budget. Once you have the right solutions in place, you can begin to focus on providing quality hospitality services and the best experience while leaving the rest to the technology. For any hotel to stay relevant to travelers of today, they need to be adopting the latest and greatest hotel technology the world has to offer. However, there is a vast amount of hotel technology saturating the market, competition continues to grow and new digital tools continue to permeate the market – choosing the right solution is no easy feat. As we head closer towards 2019, we take a look at both challenges and opportunities facing hoteliers looking to invest in new technology. Finding the Right Tech Partner: There are many, big, well known players in the market that have been providing PMS and other hospitality technology solutions since day dot. In recent years with new tech start-ups emerging offering hotel software solutions, the competition between vendors on who has the best solutions has multiplied – It also has left hoteliers overwhelmed with choice. With multiple vendor options, from big and small providers, come numerous products which can vary significantly in capability and performance. While finding the right tech partner is never easy, with so many vendors to choose from, hoteliers face an onerous task and really must do their homework to find the right tech partner. Accountability: The hospitality industry benefits vastly from technology. But in order for it to be effective, it is critical that hotels can get the help they need when they need it. However, according to a global hotel PMS study, The Future of Hotel Management Systems, receiving adequate support from vendors topped the list of challenges facing hoteliers. With vendors and suppliers play a key role in daily operations, holding them accountable is a critical challenge to manage to ensure a hotel’s success. Integration: To remain competitive in today’s hotel environment, it is essential that software applications integrate easily and seamlessly with other programs. But, it’s well known that legacy systems do not communicate well with one another and one of the largest challenges hoteliers face when it comes to their technology is a lack of integration and the complexity of integration with other systems. As new products are developed, and guests demand more technological flexibility, hoteliers are challenged with finding solutions that can integrate easily and work with a wide range of providers. Aligning with a Trusted Partner: Aligning with a trusted technology partner is an indestructible foundation for success. With the right partner, hoteliers are equipped to meet the current challenges facing the hospitality industry and have the opportunity to fully prepare for how future innovations will affect hotel operations. Joining forces with a trusted partner who will not only progress the technological future and adaptability of your hotel, and provide high-level care, service and support every step of the way, will stand to gain. Scalable Solutions: Scalable solutions provide hoteliers with the opportunity to not only purchase only what they need, when they need it, but also grow and evolve when they are ready—all in a seamless fashion, and without breaking the bank. Regardless of however you’re planning to expand, or not, planning for the future is important so whatever system you decide to go with, ensure it is scalable to offer more extensive capabilities as your hotel’s demand grows. Technology can play a decisive role in how hotels create a unique guest experience. But with technology moving so fast, hoteliers face many challenges in the wake of any tech investment. By focusing on systems that provide technological flexible platforms and innovative systems that deliver on their promises, will make a real difference for your guests and the guest experience. Research continually and consistently finds that there is a positive, statistically significant relationship between satisfaction and a host of business outcomes such as customer retention, loyalty, wallet share, referral etc. A study conducted by the Harvard Business Review found that guests who had extremely pleasant experience spend over 100% more as compared with those who had less-than-desirable encounters. Clearly, happy guests can ensure healthy revenues for hotels. Streamline guest services: Guests are now a more self-sufficient bunch and have become used to getting what they need quickly. More and more guests want control over their hotel experiences, they want the same comforts and conveniences when away from home and expect to see mobile technology integrated into their hotel experiences. Consumers, in general, are coming to expect self-service and a streamlined experience that mobile innovations provide – services such as check-in and out, room service orders and request, amenity bookings such as spa appointments or dinner reservations, the ability to view billing information, track expenses and complete online payments etc. By leverage mobile platforms you can offer a plethora of self-service solutions to streamline the guest experience and provide a superior service experience that your guests have come to expect. 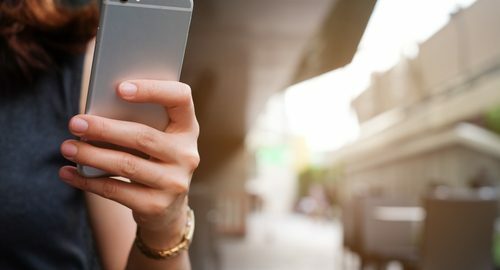 Connect with customers: Messaging and chat services are rapidly becoming another way that mobile is transforming the guest service experience. It is a versatile, effective way to ‘chat’ to guests in a place they are already conversing. Guests are able to communicate quickly and seamlessly with a dedicated concierge to take care of any requests or queries. Whether a guest wants to order room service or needs an extra rollaway bed, prompt service is just one text message away. By using mobile messaging services hotelier can provide the guest with an improved guest experience. Personalization: Mobile solutions can aid flawless customer service. They present a major opportunity for hotels to personalize the customer experience enabling hotels to directly connect with guests’ pre-arrival, during the stay and post-departure. With integrated cloud solutions, hoteliers have the ability to easily keep track of and consolidate guests stay history and personalized preferences while also providing a system that can satisfy each customer’s needs by delivering real-time personalized experiences. As a result of such high customized service interactions, guests feel unique and treated as an individual, improving overall satisfaction and generating increased customer loyalty. Ease of operations: Well-executed operational functions are a key determinant of whether a guest’s stay meets their expectations and whether they check out satisfied. A cloud-based mobile PMS hotel can make a hotelier’s operational life much easier. Cloud systems simplify integration with other systems for improved operational efficiency via automation. Automation of repetitive tasks helps to free up staff time allowing them to focus more of their time and attention towards the guest. Staff can also assign certain tasks to specific employees and quickly communicate with other departments instantly and simultaneously through integrated mobile devices. And most importantly, mobile means staff are free to move around the hotel, servicing guests directly resulting in more face-time and enhancing their overall guest experience. Mobile technology can certainly improve the hotel guest experience. 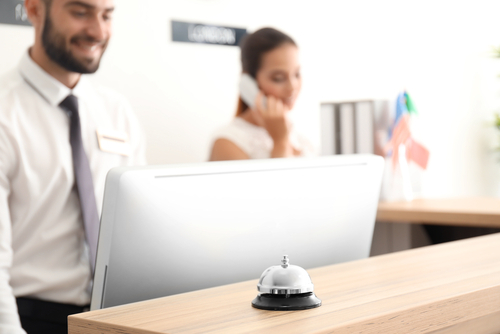 Not only does it allow hoteliers to manage day-to-day operations more effectively but it helps meet escalating guest expectations and serve guests better by providing greater immediacy and personal engagement. To top it off, mobile has the ability to improve the bottom line and give you that competitive edge over your rivals. It’s almost the end of another year and the hotel industry continues to grow at a rapid pace. Gartner research predicts that the hospitality industry is projected to be the fastest growing enterprise IT sector between 2018 and 2021. The industry itself has always been an extremely competitive landscape but with the advent of technology changing the way in which customers want to interact with brands, has seriously up the ante. Keeping up with the latest technology trends has never been more essential – those who fail to adapt can quickly find that they are being left behind by hotel and travel companies that have implemented new approaches and ideas. So, what should hoteliers know about for the coming year? Well, you might breathe a sigh of relief to know that the top hotel trends for 2019 are “more evolutionary than revolutionary,” according to Mike Heflin, senior vice president of the Hotel Division for Travel Leaders Group (TLG). Some of the year’s trends are not necessarily brand-new per se, but instead, 2019 is set to focus on delivering hyper-personalized hotel stays. So, what does this entail? Open APIs: In a recent study, published by Fuel Travel, StayNTouch and Flip.to, which surveyed hundreds of hoteliers and vendors about technology needs, found that, from both the hotelier and supplier perspective, integration was the most important issue facing the industry. Why? Technological integration has posed massive challenges in recent years, as industry players struggle to bring new tech on board without greatly increasing the complexity of managing their overall systems. Open APIs will allow for limitless customization and for effective communication and synchronization between the full range of technology systems used in the industry, all while maintaining the simplicity of one integrated platform. With the majority of hotel systems planning on being in the cloud by 2019, Open APIs are certainly going to be the top priority in 2019, if not, for the next few years. Mobility: Mobile usage has become ubiquitous in our everyday lives and has revolutionized the way we interact with technology and changed the way both consumers and brands interact with one another. To date, most investment on mobile technologies has focused primarily on guest-facing services and with research indicating a continued growing interest in self-service options, hoteliers need to contemplate possible self-service solutions and/or consider an expansion of the self-service tech already in place to meet this evolution. 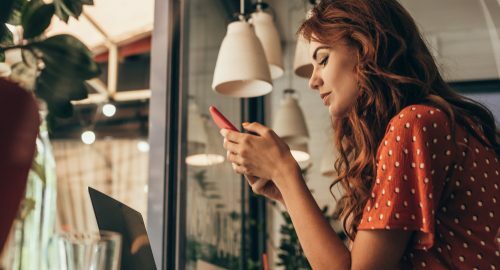 While self-service is a key mobile trend for 2019, mobile solutions designed with staff in mind are also on the agenda. It is thought that this year will see a surge in employers’ investing in technology that makes hotel employees’ jobs easier and more efficient. Mobilizing staff will not only help hoteliers streamline operations but they are fast becoming an important element in how a company serves their customers. Frictionless Guest Stay: The new buzzword being brandished around and thought to be the new business competitive advantage; frictionless. Frictionless is the evolution of personalization. In today’s world of big data and excellent data management tools, guest expects hotels to know them better. They expect hoteliers to anticipate their needs and requirements – before they even realize themselves, and will prefer to stay with the ones that can do so. While improving the guest experience will always be a top priority in the hospitality industry, 2019 will see more technologies focused on making a guest’s stay as simple, seamless and as “frictionless”, as possible. While our list does not include every trend, one thing is for certain, to remain relevant in a very competitive marketplace, hoteliers need to look at and enhance their technology in order to both attract and retain hotel guests.